Great gift for the pet lover! 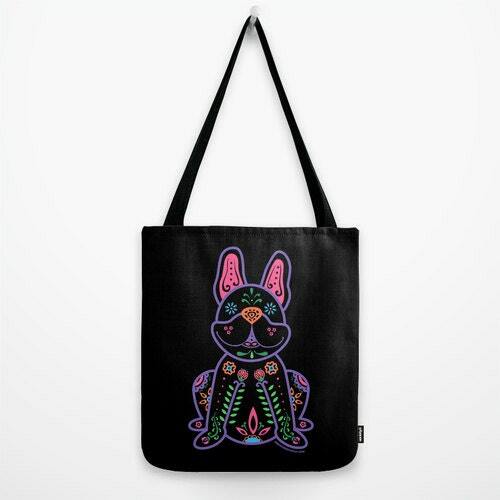 This lovable French Bulldog will surely start your day off right! Quality crafted Tote Bags are hand sewn in America using durable, yet lightweight, poly poplin fabric. All seams and stress points are double stitched for durability. They are washable, feature my original artwork on both sides and a sturdy 1" wide cotton webbing strap for comfortably carrying over your shoulder. **Please note that this item is MADE TO ORDER and ships within 2-4 weeks from my partnered manufacturer in the US. 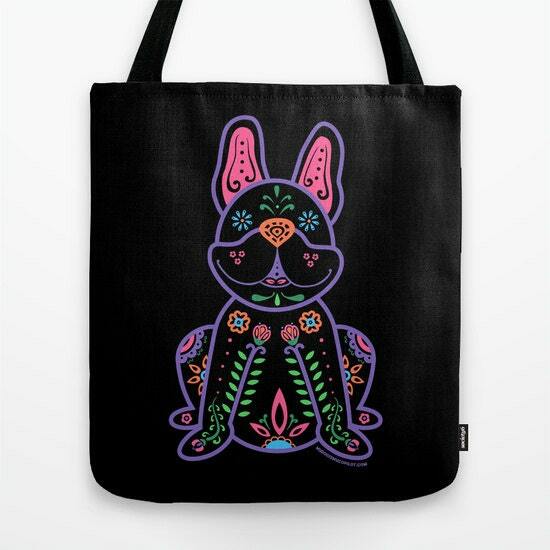 They use high quality products and inks to create corgi tote bags with my original ©My Dog is My Co-Pilot illustrations. © all photos and images are copyright to Tracy Hopkins. Purchase does not transfer reproduction rights. Most items will be shipped via USPS within 2-7 business days (fabric items may take 7-10 business days). I do everything I can to get your order shipped as fast as possible. Please contact me for rates if you need your order rushed. Paws up for this bag awesome color and excellent quality with speedy post.